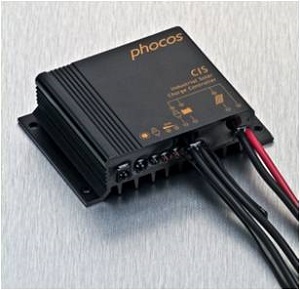 We are the agent of Phocos in Taiwan. 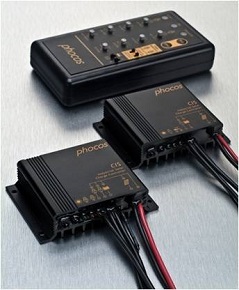 The most of Phocos products are design in Germany and manufacture in China. Majorly, the charge controllers are the best in the world, specially CIS series. CIS has IP68 waterproof and easy to install. All of the setup parameters can base on customer's requests to use a remote controller(CU) to reset customer's number. For example, the default discharge voltage is 11.8V. Customer van use CU to set this number to 11.5V, if their battery can do the deeply discharge.